“Give Me the Drugs! 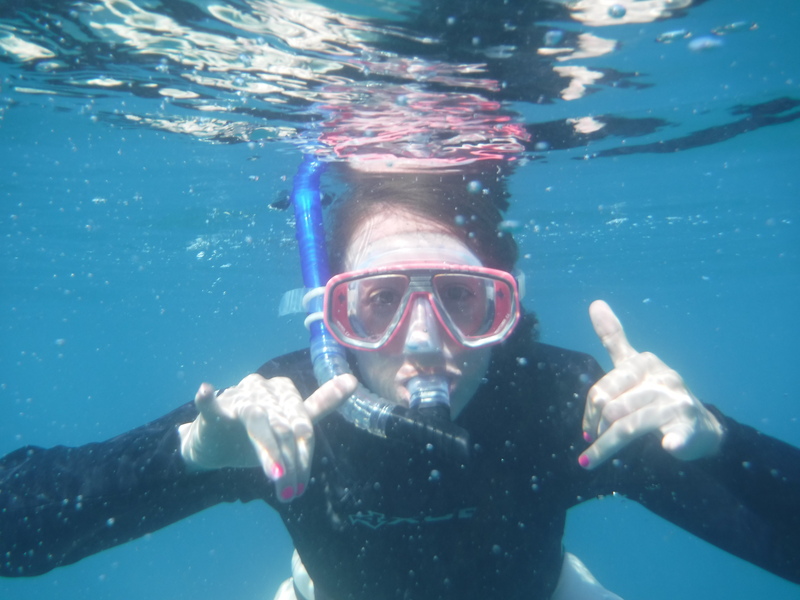 !” said the Snorkeler (Hawaii Day 5) | Kimberlee K.
I tend to be a bit of a worrier at times. In fact, it’s almost a hobby of mine to convince myself something bad is going to happen. That way, when everything goes smoothly it’s a nice surprise. I wouldn’t recommend this life strategy however. It’s a waste of Tums and Advil. Things are going to work out the way they’re supposed to and we just need to sit back and enjoy the ride. Well, sometimes. Let me immediately contradict myself by saying that “the ride” is exactly what had my stomach in knots the moment I woke up for Day 5 in Hawaii. Snorkeling was on the agenda today and I’d been slightly dreading it since we booked the trip last year, as I am very prone to seasickness. For weeks I’d been picturing the boat ride. The constant back and forth of the waves. The up and down of the waves. The NEVERENDING motion of the waves. Thus, I had my mission and let me tell you, I was dedicated. After drugging up and elbowing my way to a seat on the top deck, I picked a gopher shaped cloud to stare at (I’d heard it helps to pick something still to focus on) and I rarely broke eye contact. I mean RARELY. I’d say round-trip, of the 5 hours spent on/in the ocean, I spent 3 hours looking at the cloud and 2 looking at fish. Did I look weird? Probably. Will I go down in many a stranger’s Hawaiian vacation memory as the girl who wouldn’t make eye contact with her family? Probably. But did I get sick?! NO. Plus, when we were actually in the water, the snorkeling was unbelievable. There was so much to see in the reef below, it was almost impossible to look away. We must have taken 100 pictures with our underwater camera, including this one of a fish my sister aggressively stalked for an extended period of time. 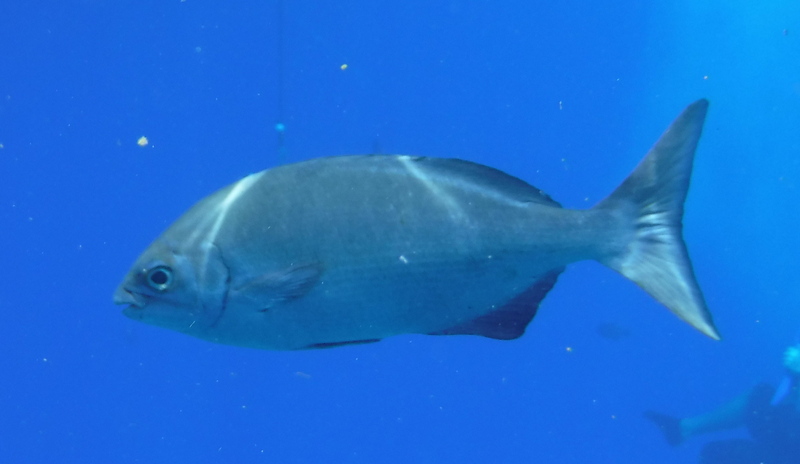 A quick note about snorkeling: While yes, there are plenty of fish in the sea…to see (nailed it) you’d be surprised at how interesting your fellow snorkelers are to look at. Have you ever made eye contact with strangers in scuba masks? Well better first question, have you ever worn a scuba mask? It compete covers your mouth and eyebrows, make emotions completely unidentifiable. I’m going to be straight with you. It doesn’t matter who you are, what you look like, or how many times you’ve been snorkeling. Anyone and everyone in a scuba mask has dead eyes and breathes like Darth Vader. Am I having fun? Or is there someone on the other end of the camera threatening me with a gun to look like I’m enjoying myself. No one will ever know.